After much leaks and rumors, the Galaxy A20e is finally official; Samsung has launched it only in Poland as of now. As expected, the A20e comes as a trimmed-down variant of the Galaxy A20 that was launched recently. 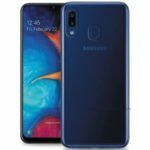 Samsung has not disclosed the pricing and availability details of the Galaxy A20e yet. They have, however, revealed the specifications of the device. Let us have a look at what the A20e has to offer, and how does it differ from its elder sibling, the Galaxy A20. The Samsung Galaxy A20e has a 5.8-inch TFT display with HD+ resolution. The display, as you might expect, comes with an Infinity-V notch at the top. From what we can see in the images, bezels at the top and both sides of the display are quite thin, while that at the bottom is comparatively thick. It isn’t clear at the moment if the device has Gorilla Glass protection. However, I think the A20e does not have a Gorilla Glass protection, because even its elder sibling, the Galaxy A20 does not have it. Samsung has not unveiled the processor model that A20e packs, but they have mentioned that it has an octa-core SoC with 1.6GHz + 1.35GHz cores, which suggests that it is the Exynos 7884 chipset. If the device does have Exynos 7884 chipset as we speculate, then it means that it will come with Mali-G71 MP2 GPU. 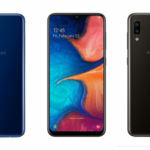 According to specifications sheet of the Galaxy A20e, that’s posted on the brand’s Poland website, the device has 3GB of RAM and 32GB of storage. However, the device could be offered in other configurations in markets outside Poland. Samsung has not mentioned the OS version either but is only apparent from Samsung’s recent launches that the A20e has Android 9 Pie operating system with Samsung’s One UI customization. In terms of imaging, the Galaxy A20e has a 13MP + 5MP dual-camera at the back and an 8MP camera at the front. Among the two cameras at the back, the 13MP camera sensor is the main shooter, while the 5MP camera sensor is an ultra-wide unit. The 13MP camera has an f/1.9 aperture, whereas, the 5MP camera has f/2.2 aperture. As for the front-facing camera, it has an f/2.0 aperture. Samsung hasn’t revealed the maximum video recording resolution. However, considering that the A20 has Full HD video recording, the Galaxy A20e might most probably have the same video recording resolution. The Galaxy A20e packs a 3000mAh battery, and surprisingly, it has a 15W fast charging. Up until now, the fast charging feature was mostly found in only Samsung’s high-end smartphones. It is good to see that Samsung is now offering fast charging even in lower mid-range devices. The A20e also has a rear-mounted fingerprint scanner. 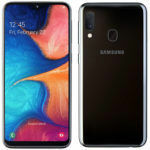 Although Samsung hasn’t mentioned it, the A20e most probably has all the standard connectivity options, such as a dual-SIM with dual-4G and dual-VoLTE, dual-band Wi-Fi ac/b/g/n, Bluetooth v5.0, GPS, 3.5mm audio jack, and a USB Type-C port. How Does the A20e Differ from A20? To make it easy for you to understand the differences between both smartphones, I have made a specification comparison table of the Galaxy A20e and the A20. Here it is. Asif’s younger brother is the newest addition to the Gear team. He inherits the love for gadgets from his elder brother. He holds a degree in engineering and a whole lot of expertise in smartphones and computer hardware. Abid has been following the industry for quite a long time and has excessive knowledge on every topic that touches the tech domain. For anyone at office who plans on buying a new PC, speaker, smartphone, or even a toolkit, Abid is the go-to adviser. 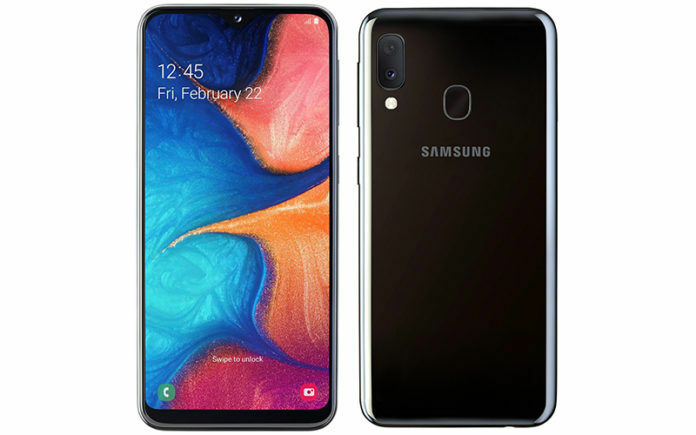 Samsung Galaxy A20e Certified on Bluetooth SIG and Wi-Fi Alliance, Launch Imminent?